Don't get stuck on the road because your car overheated. Come to Braxton Automotive and allow one of our Certified Technicians to flush your coolant. Most Volvo, BMW, Mini and Land Rover owners know when to change their oil, but they do not know the proper intervals for changing their vehicles other vital fluids. Check your car's owner manual or stop by Braxton Automotive and we can tell you when you should flush your coolant. Why is it important? Coolant protects your engine from freezing and overheating. Over time, coolant's effectiveness diminishes causing the radiator to corrode and rust. Just like the oil in your car, the coolant needs to be changed periodically to avoid built-up deposits of grease, scale, oil and other materials. Did You Know? 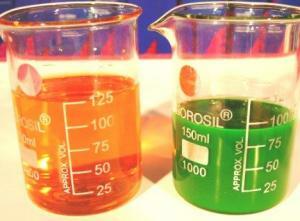 : Coolant can vary in color from green, orange, blue and yellow. Each one has their own protective properties. Check your owner's manual or call Braxton Automotive to find out which one your vehicle takes.